Don’t underestimate this simple and affordable culinary gem. Facts are facts: Okra is a fruit. (The seeds are your first clue!) It's not a huge shock; there are tons of fruits that most people mentally categorize as vegetables. Another fascinating trivia about okra? It's a hardy crop to plant. This means okra can easily resist changes in weather and climate. It grows even during droughts and hotter seasons, making it a sustainable crop that can be planted throughout the year. Rediscover this Ilocano dish as you start your mission of diversifying your diet. This recipe from Knorr includes crispy pork belly. If you want to try a meatless version, you can follow the same recipe and just omit the meat. 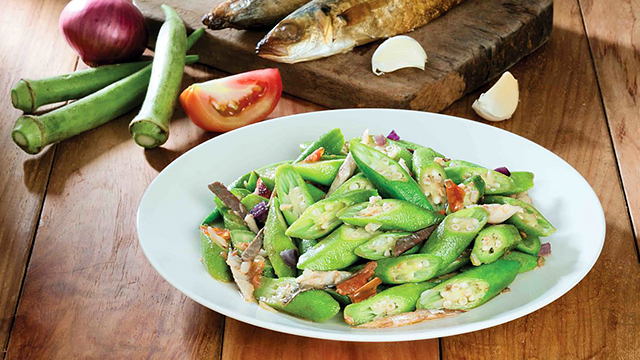 What's great about pinakbet is it features a medley of nutritious vegetables other than okra. It has onions, kalabasa, tomatoes, sitaw, ampalaya, and eggplants. This variety adds texture, dimension, and a harmony of flavors to the dish, making pinakbet not just an Ilocano classic but an all-around Pinoy favorite. A little kasim (cubed pork) never hurt anybody—if anything, it's a little treat for the meat eaters out there who are making an effort to eat more greens! It's simple, yet indulgent on its own. Follow this recipe for a new spin on the classic Pinoy ginisa. Cutting down on meat? This light version of the classic adobo dish makes okra the star of the show instead. It's easy to make and it’s healthy—really, what more could you ask for? It's quick to prepare, too. Steaming okra takes only five minutes! Try this simple recipe at home for a quick vegetable fix. Whoever said salads are just glorified rabbit food was desperately unimaginative. This recipe is just one of the many options using okra that you can experiment with. Plus, it features tomatoes—another fruit like okra that's resistant to natural elements, even diseases and pests! Learn how to make a salad that puts okra and tomatoes together from this recipe. Okra is part of Knorr and World Wildlife Fund-United Kingdom's "Future 50 Foods" report, which says that changing your eating habits can make a great difference in agriculture and your carbon footprint. It lists down different kinds of food—from algae and grains to vegetables and fruits—that can help people take a step toward a more eco-friendly and sustainable lifestyle. More than that, the report also says a plant-centric menu is also better for your health. It allows you to get the nutrients you normally wouldn’t get from meat-heavy dishes. Feel free to experiment with meat-free versions of some of your favorite recipes. Some fruits and vegetables just might surprise you. 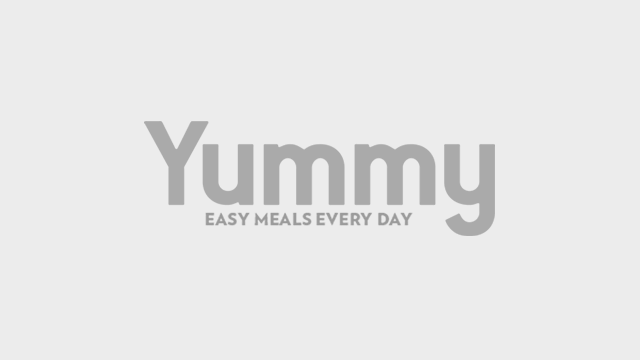 To help you get started, Knorr has created a list on their website of delicious and easy recipes featuring some of these 50 foods. To learn more about the "Future 50 Foods" report by Knorr and WWF-UK, visit this link. Follow Knorr on Facebook for more information about the brand and its products. This article was created by Summit StoryLabs in partnership with UNILEVER PHILIPPINES. The Buttery Taisan Loaf From Red Ribbon Is Available Again! You Can Now Have Tiger Sugar Milk Tea Delivered!